Just 16 years on from the 9/11 attacks, the true story of how 12 men vollunteered to fight the Taliban and Al-Qaeda is being retold in '12 Strong'. Chris Hemsworth and Michael Shannon lead the cast to tell a story about the unique bond made between the soldiers and their patriotism. The real-life soldiers and the Hollywood stars who portrayed them reunited at the film's world premiere in New York on Tuesday. 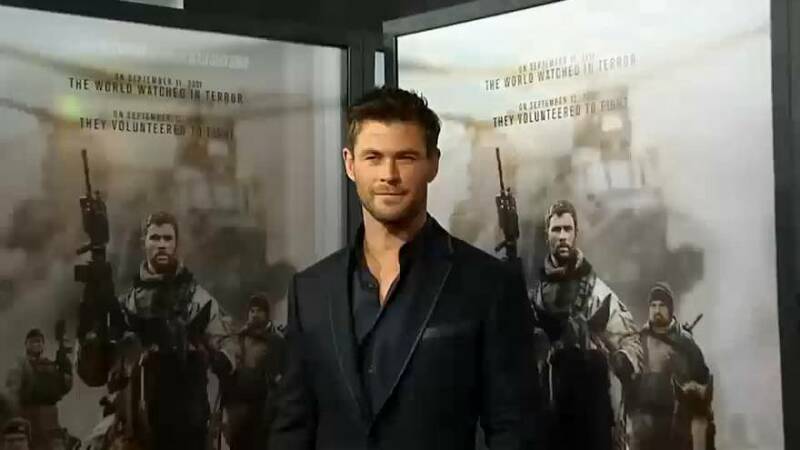 On the red carpet, Chris Hemsworth said, "Listening to their stories, being so open about the retelling of those events and giving us 100% of their knowledge was really inspiring. But also what I noticed was the complete humility in which they told these stories. There's a lack of ego, there's no dramatization about it. It was just a matter of fact, this is my job." For Danish director Nicolai Fuglsig, the film is all about unity; "It was such a unique premise and I think it is such an important story to tell, especially in a time where the world and people are actually trying to divide us. This is a film where we're really trying to unite people. And it shows incredible bravery and heroism on both sides, which is very important for me." The film arrives in European cinemas over the coming weeks.